The 2019 Jeep Grand Cherokee is thrilling Nashua area drivers around every turn with unmatched and aggressive performance. The standard 6.2L V8 engine packs the Grand Cherokee with power normally reserved for the racetrack. With the ability to launch to 60 miles per hour in just 3.5 seconds, this high performance SUV has up to 707 horsepower and 645 lb-ft of torque. When it comes to performance, the 2019 Jeep Grand Cherokee has you covered. When looking at the 2019 Jeep Grand Cherokee, drivers will be blown away by its exterior. The assertive styling features boast dramatic lines, aerodynamic curves, and a dignified yet aggressive stance. Inside, it’s all about luxury. With high-quality materials and contoured seats, you’ll be riding in first-class comfort. With the ability to seat 5, you’ll always have room for company. If you find yourself captivated by the design of the 2019 Jeep Grand Cherokee, be sure to check out the Jeep specials at our Nashua area dealership serving Manchester and Bedford.  Contemporary Automotive knows how important it is to remain connected. The 2019 Jeep Grand Cherokee boasts advanced technology that will keep it that way throughout your drive. The Uconnect infotainment system allows you to keep in contact with the outside world with integrated Voice Command, which allows you to receive and dial out calls, play specific songs, ask for directions, and more. The 2019 Jeep Grand Cherokee looks out for Nashua, Manchester, and Bedford area drivers. Wherever you’re headed, the 70 available and standard safety features will give you peace of mind. Standard Blind Spot Monitoring and Rear Cross-Path Detection detects vehicles in hard-to-see places. Parksense Rear Park Assist uses sensors located in the rear of the vehicle to alert you if you get too close to other objects while parking. With several other features, it’s easy to drive confidently in the 2019 Jeep Grand Cherokee. For more information about the 2019 Jeep Grand Cherokee, contact us at Contemporary Automotive or call (844) 500-6722 to schedule a test drive.